Salvation Army Red Kettles that are seen on street corners and in front of stores during the Christmas season, are perhaps the most quickly recognized symbol of The Salvation Army. 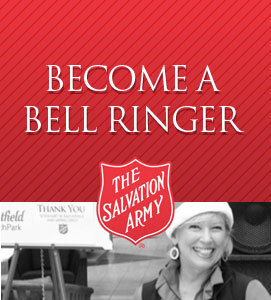 The many "bellringers" who help ring and encourage donations are quiet heroes to the communities they serve. 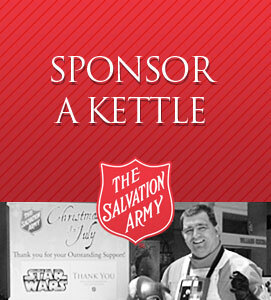 Donations in The Salvation Army's red kettles are used locally to provide services and programs in benefit to the community in which the money is collected. Discover the joy of giving back to your community: Questions? If you have questions about volunteering or volunteer opportunities in a specific area, please fill out the Online Volunteer Application.